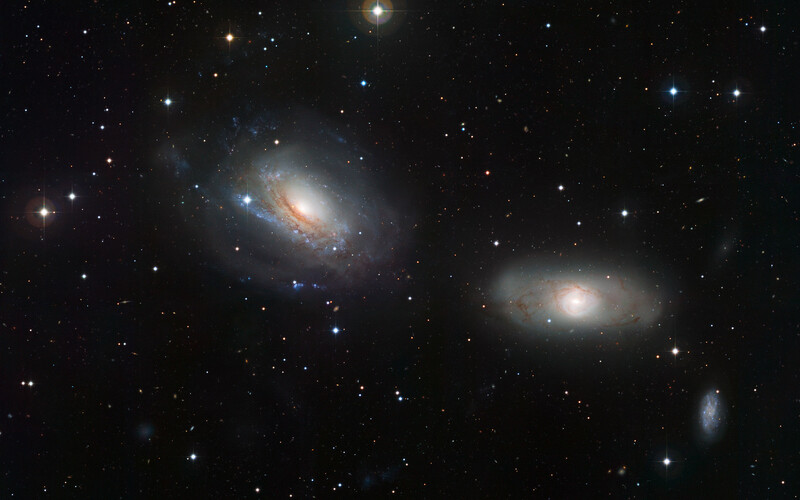 This image from the Wide Field Imager on the MPG/ESO 2.2-metre telescope at the La Silla Observatory in Chile captures the pair of galaxies NGC 3169 (left) and NGC 3166 (right). These adjacent galaxies display some curious features, demonstrating that each member of the duo is close enough to feel the distorting gravitational influence of the other. 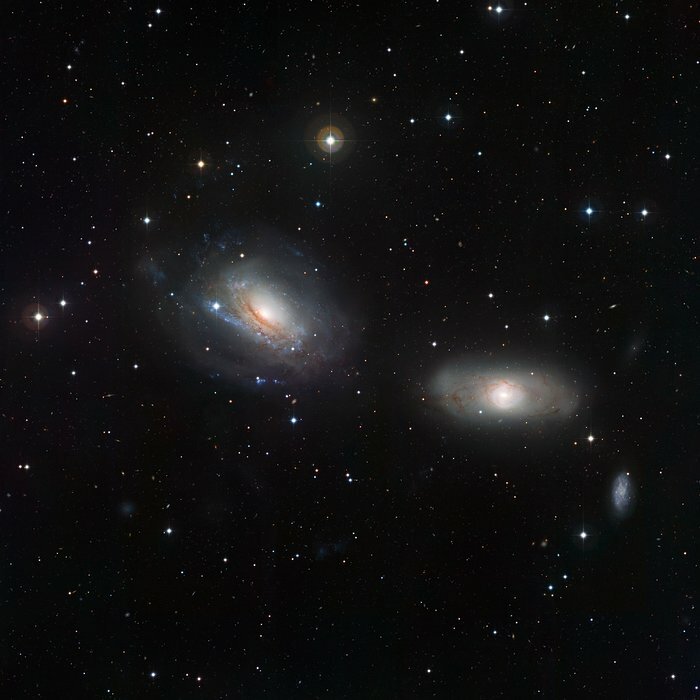 The gravitational tug of war has warped the spiral shape of one galaxy, NGC 3169, and fragmented the dust lanes in its companion NGC 3166. 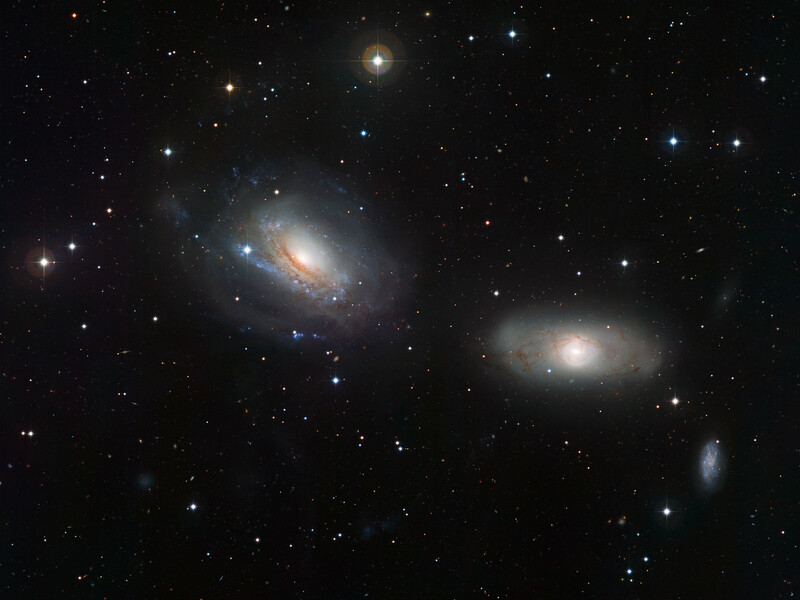 At the bottom-right of the pair, a third galaxy is portrayed, NGC 3165. Position (Dec): 3° 27' 18.66"